In Tanzania, women don’t have photo shoots of their pregnant bellies. They don’t name their children before they are born. They don’t have pregnancy-announcement parties or even announcements on Facebook. Usually, they don’t actually even talk about their pregnancies. Strangers don’t ask them how many weeks they are. Family members don’t usually ask either. They don’t talk about their pregnancies with their children. When the baby is born, it’s not often named for days or even weeks. Toddlers, sometimes, are ignored. Other than their basic needs, ignored. Sometimes, they are even named Not Wanted or Undesirable. As an objective observer, someone from the West might assume that Tanzanians don’t care about babies or children, that they are not important to them. In Tanzania, there are 45 infant deaths per 1000 live births. In the U.S., there are 5. In Tanzania, there are 460 maternal deaths (mothers who die during pregnancy or childbirth) per 100,000 live births. In the U.S., there are 21. In Tanzania, 54 children out of 1000 won't make it to their 5th birthday. In the U.S., 7 won't make it. 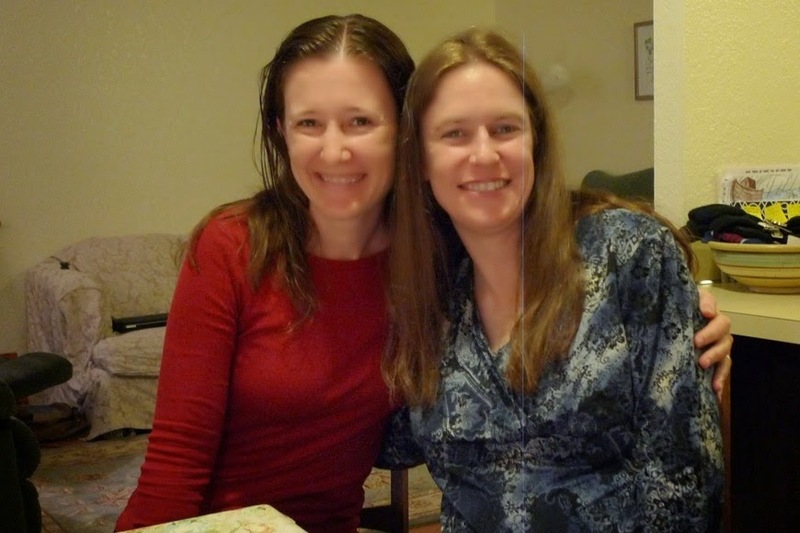 I spent this week in Washington with my wonderful friend Janelle. Janelle is mom to a little guy named Jeremiah, who was dearly wanted and dearly loved. Janelle and her husband Rudy live in Central Asia, but while they were visiting Thailand two months ago, their beautiful Jeremiah died from a tragic accident. I wrote about it here. Janelle and Rudy are in the States now for a few months, regrouping after their loss and awaiting the birth of their next child. It was my privilege to spend time with her these last few days. How does a mother bear the loss of a child? The one she carried next to her heart, the one born through pain, the one who is knit with her soul? How does she bury the child, the dreams, the expectations of who he would have become? How does she get up in the morning and allow life to continue? I wonder if this is why Tanzanians don’t talk about pregnancy, don’t wait in anticipation, don’t name their child before he is born. Perhaps they wait in dread instead of hope. They know too many children who have died, too many mothers who have died. They hold their breath and hope for the best, but are not surprised at the worst. Is that why? Or is it also their animistic worldview, the idea that the spirits are in charge but they are evil, that they must appease them to keep them at bay? So the mamas must keep the attention off of their pregnant bellies, and away from their precious little ones. They ignore their bellies, and ignore their little ones, or give them an ugly name….in hopes that the spirits, too, will ignore them. Could it be the bond of love….and the fear of loss, that causes some to act like they don’t care? How does a mother bear the loss of a child? As one who is rooted firmly and completely in Christ, Janelle taught me this these days. The pain is excruciating, and yet she has hope. The despair seeks to overwhelm her, and yet she presses on. She knows who she belongs to. She knows who Jeremiah belongs to. She knows where he is. Her eyes bear light and her voice bears confidence, despite her exhaustion and never-ending sorrow. I watched her minister to others, to me! in the mist of her pain. She has helped me not to fear. She has deepened my trust in my Savior, as she has given testimony of His power. She is a beacon of God’s grace. Oh, that the dear mamas in Tanzania would be granted the medical care and education they need so that they are able to celebrate the lives growing inside of them, that they can be filled with anticipation instead of fear. But even more, that they would come to know the hope and grace that God has granted my friend Janelle. Dar es Salaam is near the equator. That means there's only about a 20 degree difference between the hottest time of the year and the coolest part of the year. There's no need for Daylight Savings Time, because sunrise and sunset only varies by about a half an hour throughout the whole year. There's a rainy season and a dry season. There's a hot season and a hotter season. That's about it. I miss seasons. I long for them, sometimes. Spring is my favorite, and thankfully spring comes early to southern California. Yesterday Grace and I were out walking, and stopped under the most glorious purple tree. Make a picture in your mind, I told her, So that you can remember how beautiful this is. Monday we visited Huntington Gardens, one of the most beautiful places on earth. Hoping to soak in enough spring to last me the next few years. Probably one of the most commonly asked questions we get is, "How have your kids adjusted to the States?" They have grandparents who paid for gymnastics and ballet lessons and Happy Hollow passes. They have other grandparents who bought them season passes to Disneyland. And even though the agreement was that these "experiences" would replace the grandparents' need to buy "stuff" for the grandchildren, the amount of "stuff" in their bedroom would prove otherwise. They are on basketball and soccer teams. They go to Awana. They have bikes and scooters and most exciting of all....pajamas and jackets! Imagine taking all the "spoiling" that's done to your kids (by grandparents, aunts, uncles, friends, etc) over a period of four years and squishing it all into one year. That pretty much sums up the kind of year they are having. So yeah....I'd say they've "adjusted" just fine. ummm...do you think he is small for his age? But he makes up for his size with pure, unadulterated energy. with my aunt Krista....one of many who loves to spoil them! They will probably need to be detoxed in July. But at the end of the day, they still love Tanzania. Grace is counting the days. "Only four months until we go back!" she declared to me this morning. She too is learning to love this two-world life. Think outside the box! In our changing world, missions doesn't look the same as it used to. There is so much room for creativity here. If it really is exposure that you want for your young people, then just be honest about it. Don't feel like you have to justify the expense of a trip by insisting that "ministry" must be involved. There is much to be valued in simply exposure. Each year, your missions committee sponsors 2-4 mature young people to send to one of your church's missionaries for a couple weeks. For the duration of their time, they will shadow the missionaries in their ministry. This team will look for ways to help and serve, but that is not the primary purpose of the trip. They will always have a notebook with them and they will always be asking questions. When they return to the States, they will be required to turn in a 10 page paper on what they learned. They will also be required to put together some sort of presentation that they will give to the entire congregation. They will share what they learned, as well as an update on the missionary's ministry. For a year afterwards, they will be the communication liaison between the church and the missionaries. This type of trip accomplishes many of the same things that a short-term "missions" trip accomplishes--exposure, learning, impacted lives. Yet it is far less stressful for the missionary to host this type of trip than a large team who are expecting to do ministry. And in many ways, this kind of trip actually gives a more realistic picture of missions to a young person. If you are able to take overseas vacations with your family, why not combine it with a visit to a missionary family or two? Most missionaries absolutely love this! (We do!) Don't expect the missionary to be your tour guide, but spending a few days with a missionary family on the field is a fantastic way to expose your family to missions in a healthy way. Visiting friends from home are incredibly encouraging and refreshing. YES, We want you to visit, and it's one of the very best ways you can bless us! Sending your pastor and/or church leadership to visit missionaries is always, always, always a great idea--an incredible encouragement to us, and wonderful for future connections between our ministry and yours. 1. We asked for these teams. 2. We genuinely needed these teams--they provided the necessary man-power, creativity, and energy to make our (English-speaking) youth camps effective. 3. We kept them under 10 people (a couple times there were more because we split the team with another missionary). 4. They were carefully selected by the team leaders and very well-prepared. 5. We told them exactly what we wanted them to do and they were purposeful in doing it. All of the pictures in the posts from this series are from the times we hosted teams. They hold very fond memories in our hearts! Thanks to all of you for sharing these posts, and for such an encouraging response! I am so thankful that there are so many like-minded people out there who resonate with these ideas. Gil and I are greatly enjoying access to Netflix while we are in the States. Earlier this year, we watched a season of "The Amazing Race," thinking we would enjoy it because we love international travel. And we did--that part was interesting. But I told Gil that I can't watch any more seasons of it. I simply couldn't handle the fact that the contestants run ramshod over the cultures of the countries they are visiting. I winced every time I saw a female in shorts in Africa or Asia, or see them yell at a taxi driver who doesn't speak English, or careen like a maniac through a sacred space. It wasn't fun to watch, it was embarrassing. If the missionary asks for a maximum of 8 people, don't bring 9. If they tell you the age minimum is 18, don't bring a 17-year-old (unless you discuss it with them first). If the missionary asks for your girls to always be in skirts, then don't let them bring shorts. Train your team to be learners....don't overemphasize what they will accomplish on the team, emphasize what they will learn. But by all means--train them! Ask the missionary to tell you how to get them ready and spend a few months doing this. Go as a learner. You may indeed have something valuable to offer, but go in with the attitude that you don't. Ask a bazillion questions, of everyone you meet. Try not to jump to conclusions. Try not to allow yourself to think something is "wrong." Keep your eyes and ears and heart open to what these new people and new places can teach you. Realize that you will be watched, everywhere you go. I remember when I was on short-term trips, that because things are so different, there's a sense that no one is paying attention to you. Quite the opposite! If you want to make a good impression for the sake of the gospel, you need to recognize this. Adhere to their modesty standards--carefully! Designate one person as the photographer so that you won't be so conspicuous with all your expensive cameras or phones. Be polite and respectful, and in many situations, that will mean quiet as well. Many times, especially with young people, they treat a missions trip as if it were camp. And unless your ministry is camp, then yelling and rowdiness and loud laughter are often not appreciated. Mentally prepare yourself for being away from American food for your trip. I am a picky person and new food is hard for me, but you will get so much more out of the trip if you embrace it all, including the food. Don't fill your suitcase with granola bars, eat them in front of the missionary, and then talk about how you are going to visit In N Out as soon as you hit U.S. soil. Please. It's only two weeks. If you want to really go all out, ask the missionary for a wish list and have your church members fill it before you leave. Last but not least, if there are showers available, please, for heaven's sake, take showers. Imagine you have relatives visiting from Germany. They speak no English, but they tell you they want to engage in "meaningful ministry" while in the States. Reluctantly, you allow them to teach your kindergarten Sunday School class. You must translate. Since the lesson takes twice as long than usual, the kids lose interest. Still, your relatives go back to their home country rejoicing over all the converts they made. Imagine you are asked to host a team of 20 people from Japan at your workplace. They also speak no English and don't know anything about your work, but you are expected to give them something to do for the next two weeks. Out of desperation, you decide a bunch of walls need painting. Imagine a stretch limo pulls up into your neighborhood. It is filled with a youth group from Beverly Hills who want a tour of "middle-class America." They start snapping pictures of your children while smirking at their Target clothes. You overhear them marveling that you mow your own lawn. They want to know if they can paint your house--as long as they can take pictures, of course. Sometimes all we need to do is put ourselves in their shoes. The wrong starting point is often the very biggest problem with short-term ministry. We shouldn't be asking, "Where can we send our youth group/missions team/etc. that will have the biggest impact on our own people?" Instead, ask the question, "Where is the need and who can we send that can fill it?" The initial focus should be on the receivers, not on the senders. By far, your most valuable trips will be to missionaries your church supports, because you already have a personal connection. However, do not pressure your missionary to accept your team. If your church supports that missionary, he is already going to feel pressure no matter what you say.....do not add more! Make sure you give him an "out", and then if he does agree, follow his specifications for the team as best as you can. What will be our connection to local churches or missionaries? Who is making the major decisions? [It should be the people on the field]. Support roles are often the very best ways that short-term missions teams can be used. A missionary conference needs childcare? Perfect for a short-term team. Energetic bodies needed to run a camp? Excellent. Homeschooling help so that a mom can work on language skills? Fantastic. Using media skills to put together a promotional video for the ministry? Wow--that would be great! Sharing skills is another excellent reason for teams: Teaching micro-enterprise skills. Training local church leaders how to run a VBS or an ESL class. Sharing skills in medicine or art or construction. Training them to do it is always better than doing it yourself. If you are asked by a local church to put on some sort of program, such as a VBS or soccer camp, please be very careful. Don't bring in a ton of resources (markers, candy, prizes, etc) that the local church could never reproduce themselves. After all, do we want them to think, 'We could never do that ourselves; we must have Americans do it for us?' Use local people as much as possible, and use local resources accessible by everyone--even if it means your program won't be as exciting. Sometimes, we just need a different mindset. People want to go overseas and come back with great conversion stories. But when you don't know the language or the culture and you don't have the relationships--that is simply not going to happen effectively. Instead, participate in a ministry where you can support those who can do it effectively. We met the Most Disastrous Short-Term Missions Team Ever about a year after we had lived in Tanzania. We didn't know these people; we hadn't helped them get to us, but they were there to serve a church that we were a part of, and that's how we ended up stuck with them for two weeks. They were nice enough people and all, but they had some pretty firm ideas of how they wanted things to go. Our local pastor had wanted them to sleep in church member's homes, but they insisted they would just sleep on the floor of the church. (He was too nice to tell them that co-ed sleeping was entirely culturally inappropriate.) They didn't like the lunches he had arranged for them, and after a few days, they asked if they could eat something else, greatly offending the pastor. But the worst part was their lack of showering. For some absurd reason, these [fully-grown] adults decided that it would be fun to have a "No Showering Contest" during their trip. They bet each other how many days each could go without showering. Of course, there was a perfectly good shower available to them, and there was an abundance of water available at the time. But apparently their malaria medication affected their good judgment [or something like that] because these otherwise normal people decided this would be funny. Not only did they refuse to take showers, but they constantly discussed it. Even around the local people, who at best were confused why Americans would come to their country and not shower, and at worst, were terribly offended. We were horrified. But we were very young and inexperienced, so we kept our mouths shut. I can tell you for certain that if a team attempted that kind of shenanigan around me now, I would drag them to the shower by their ears. Unfortunately, that wasn't the only bad experience we saw. We saw a good friend who had an American church insist on sending him 20 people. He had a desperately hard time finding them all housing, food, and "ministry" for them to do. Many of them ended up painting walls....despite the fact that there are many qualified painters available in a city where there is 40% unemployment. Considering that it cost $50,000 to paint those walls, I hope they did a good job. We had other friends who had a short-term team member vocally and repeatedly criticize their ministry....in front of other team members. [Which was, of course, devastating....missionaries have feelings too.] Apparently living in Tanzania for a month made him more of an expert than our friends who had lived there for a decade. Now, in case this all seems a little judgmental of me, please know that I went on some short-term trips before coming to Tanzania, and as I look back, I can see how I blew it too--how I was culturally insensitive or inflexible. And to be perfectly honest, there have been multiple times I have blown it as a long-term missionary as well. I realize that I don't always get it right, and that God can use us regardless of our foolishness. But over the years, we've learned a lot. There definitely is a "right" and a "wrong" way to do short-term missions. Sometimes the line is not perfectly clear, but we can at least work towards getting it right. So in the next three posts, I am going to share what we have learned. Gil has an allergy to the cold. I'm not kidding. It's a real, live condition called Cold Urticaria. He breaks out in hives if he gets too cold and can even go into anaphylactic shock. Shoot, I wish I had that allergy. I hate the cold. But Gil and I spent last week in Minnesota, where they are having one of the coldest winters on record. I think I wore every article of clothing I own. We felt like we should have had a big sign on the car while we were driving, Stay far away from us. Driver from California. Gil even made the comment, "Driving in Dar is easier than this!" And that's saying something. Trust me. So anyway, it's a good thing we had plenty of people in Minnesota to keep our hearts warm. Every time we are in Minneapolis, we visit Bernie and her family. We first met Bernie in 2001, when Gil and I came to the EFCA Office for two weeks to go to Candidate School. 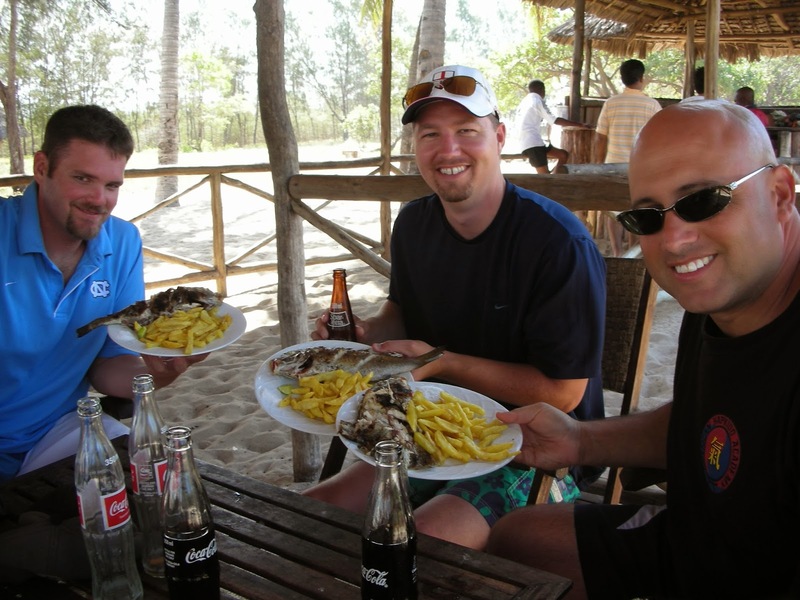 We left immediately afterwards to go to Tanzania for the first time. Bernie opened her home to us those weeks, and has been a friend to us ever since. I think we've stayed with her four other times since then. And Bernie even has a bed warmer....mmmmmm......we love staying with her! There is also a rather large collection of HOPAC alumni attending college in Minnesota, as well as a bunch of former HOPAC staff. So....one of our former students threw us a reunion! It was wonderful and glorious and so encouraging to be with so many people we love. Some of them were even my students in 5th and 6th grade, Gil's students in high school, and now they have graduated from college and are changing the world and stuff. We feel so old....but we are so proud!